This entry was posted in General on January 30, 2017 by Tasha Winton. 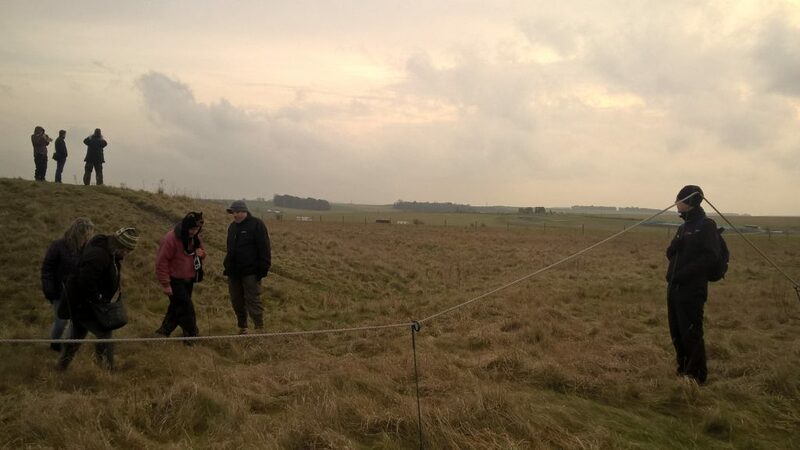 Well it’s the third week of the Human Henge Project and the participants are beginning to coalesce in to a happy group. As per usual we all met at the learning centre at Stone Henge for coffee and biscuits. 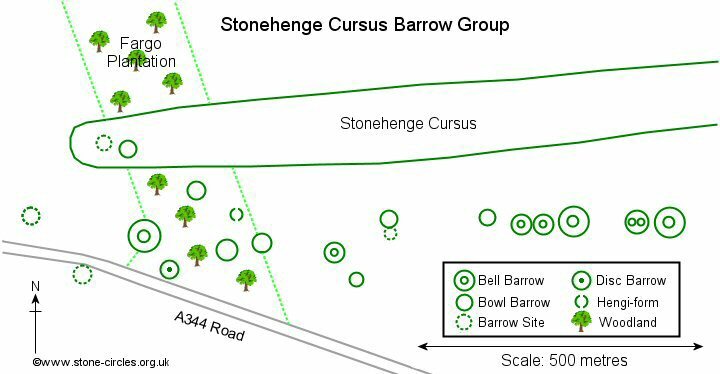 According to the schedule it’s session 2 – and the topic is Cursus, Barrow, Cemetery; we were informed that we would be going to the Stonehenge Cursus Barrow Group, which was a short walk away. 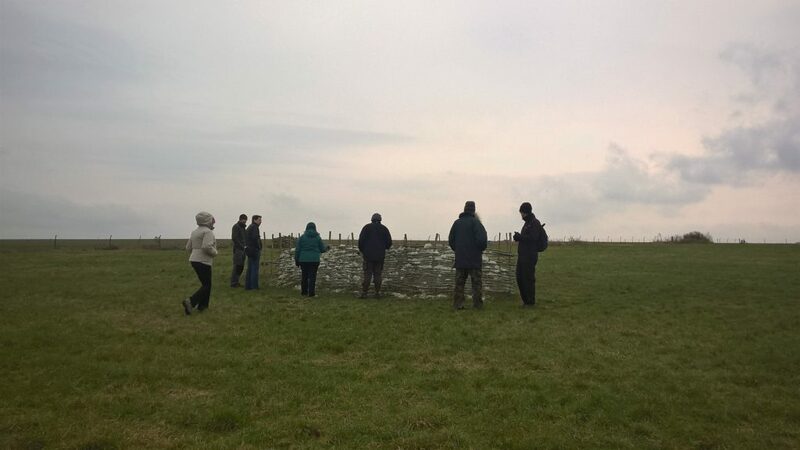 The session started with a look at some bronze knifes and pottery and a model of a Barrow with cross-section through the layers complete with a model skeleton with examples of items buried with the dead. 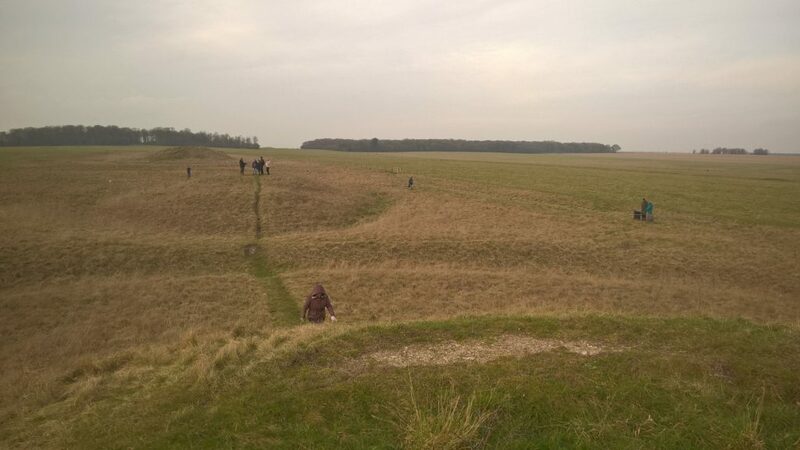 We found out that there are different types of Barrows, some raised like mounds, others sunk into the ground whilst there are others that have a sunken ring surrounding a mound. 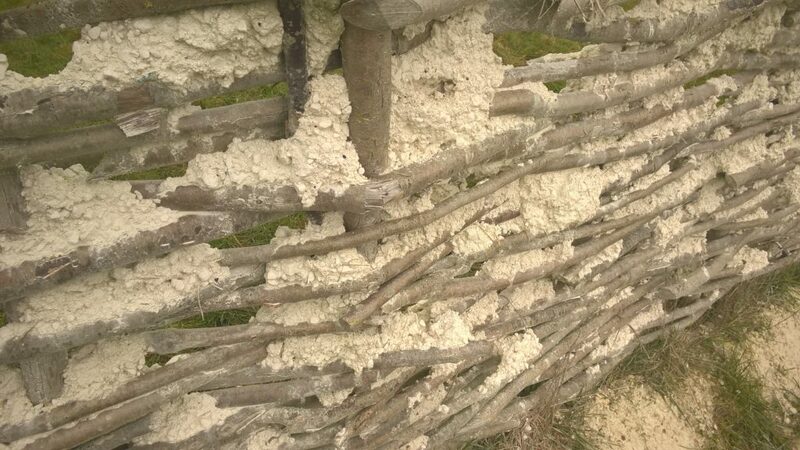 Although today they blend seemly in to the landscape in the past the exposed chalk would have shone out white and bright to honour the dead. 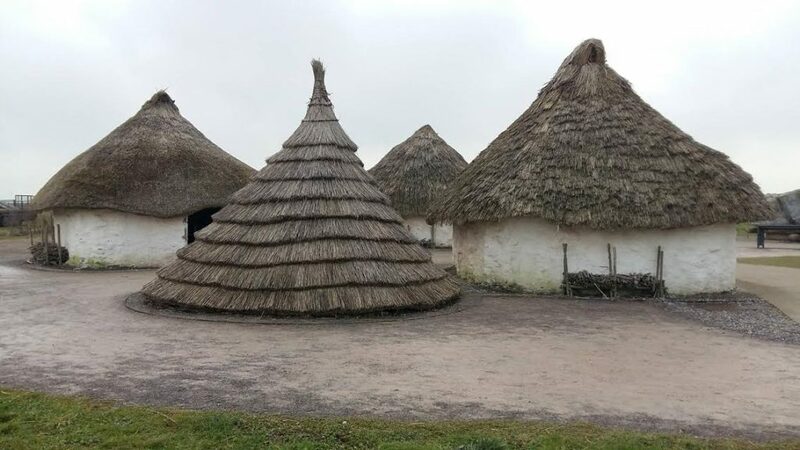 We walked through the Stonehenge visitors centre towards the Neolithic House (we will be visiting these houses in session 6) and on to the road then across to the field. Here is where a short walk turns in to a hike, the slight incline of the field did not present to much of an issues in fact the views and conversations made the walk slow enough to be enjoyable. 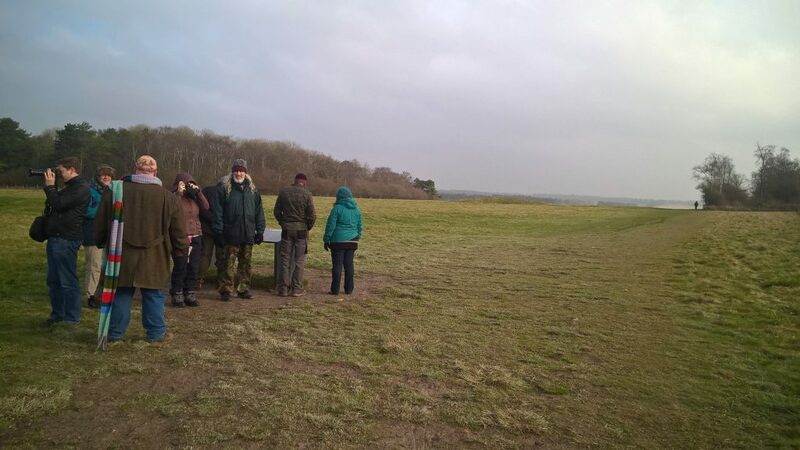 We walked up to the start or end of the Cursus depending on your point of view and with the little known about Cursus’s and Barrows you might be correct. 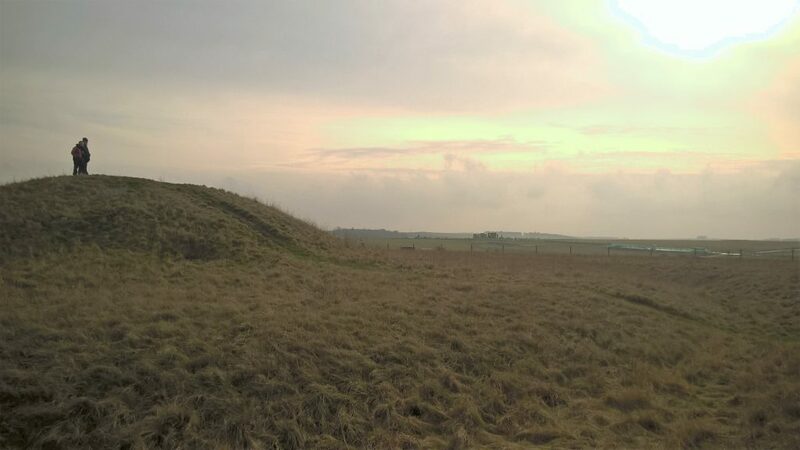 A Cursus is a Neolithic burial site with 2 parallel lines aligned astrologically and the Stonehenge Cursus is one of the notable examples in the UK. 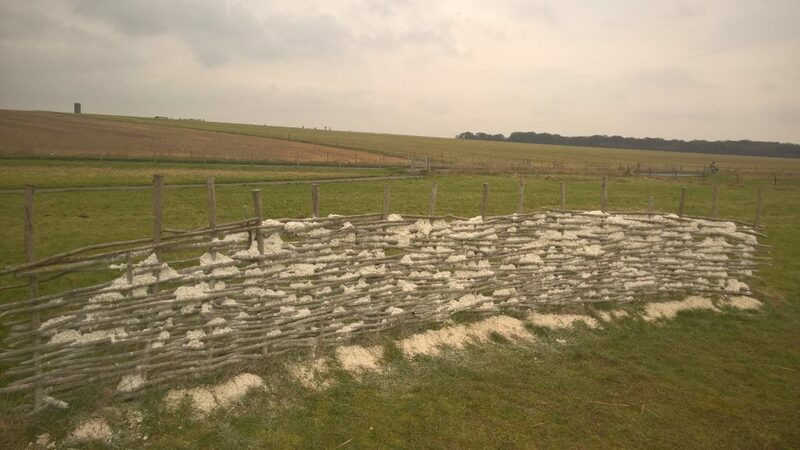 The Stonehenge Cursus is approximately 3km, 1.9 miles or 10032 feet long and between 100 metres (330 ft) and 150 metres (490 ft) wide. 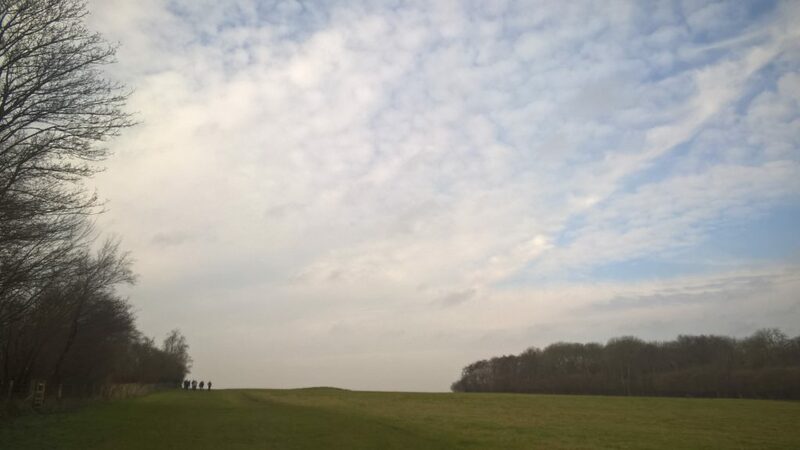 The view down the Cursus against the January sky was astounding which was punctuated with a helicopter flying across and not the last for today. 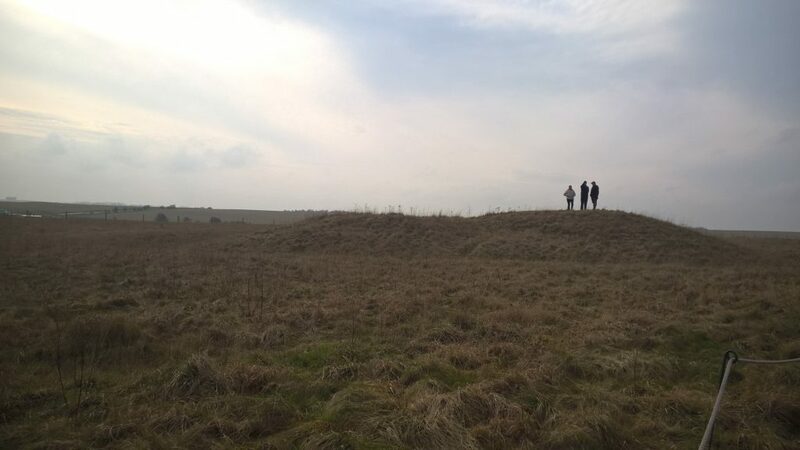 We then made our way into Fargo woods and to the Fargo disc barrow an isolated site surrounded with trees you can visualise the site being used to worship our ancestors today. We made our way through the woods and towards a group of three burrows, which we would walk around and return to the learning centre. Knowing that we where going no further I took the opportunity take a short rest and prepare for the walk back. I was not alone in taking a rest and as we watch the rest of the group climb the barrow and start singing a song about a bell, we giggled thanking our lucky stars we escape singing. Although it sounding good and great fun. We then made our way back through the woods and stopped for contemplation on time. We sat down on fallen trees in silence and mused of how long a minute. This contemplation gave the group a personal view of how they as individuals and others experience time.